Also: Apple CEO warns of consumer data weaponization; Validic's platform integrates with Dexcom CGMs. Amazon bolsters government health research. The National Institutes of Health has brought Amazon Web Services onto its Science and Technology Research Infrastructure for Discovery, Experimentation and Sustainability (STRIDES) Initiative, furthering the project’s goal of leveraging cloud computing for NIH’s biomedical researchers. The new collaboration stands to impact NIH’s researchers as well as those at more than 2,500 academic institutions that receive the government organization’s support. Smart breast pump maker goes radio silent. 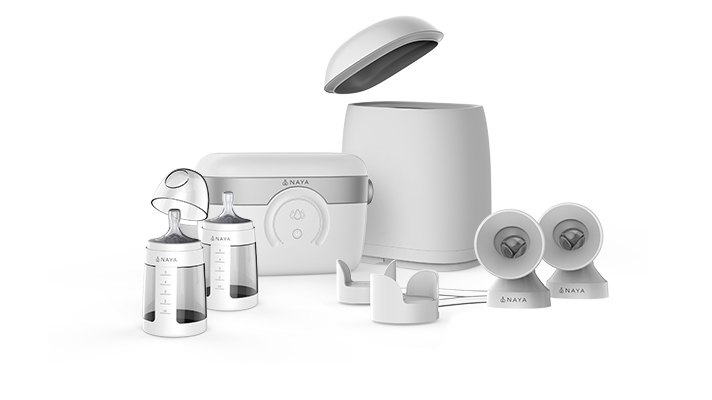 Naya Health, maker of a smartphone-connected breast pump, appears to have fallen off the grid and is ignoring correspondences from its paying customers, Fortune and others report. Over the past few months, the company has ceased sales of its costly breast pumps, shut down its customer support website and has not updated its company Facebook page since June. Per CNBC, which broke the news, some customers complain that their devices have stopped working while others never received their $1,000 device. Naya’s Smart Pump was first cleared by the FDA in June of 2016, and at one point had plans to develop a smart milk bottle for infants. Validic announces Dexcom partnership, new patent. Last week Validic announced an integration with Dexcom’s CGMs that will allow healthcare systems using Validic’s platform to read patient glucose data directly from the device. "The availability of continuous data offers healthcare practitioners new opportunities to deliver proactive care and take steps to prevent negative health events or readmissions,” Drew Schiller, CEO of Validic, said in a statement. “To effectively manage the health of a growing population with chronic diseases, data-driven care delivery is critical — and these data must be integrated into the clinical workflow in order to facilitate clinician adoption and the best outcomes for patients." In addition, Validic also touted a recently awarded patent for optical character recognition technology to be implemented within its VitalSnap platform. The technology described in the patent would allow a smartphone camera to read the screen of a non-connected in-home medical device and automatically digital the displayed data. Cook also took the time to praise Europe for protections included in GDPR legislation, and called on the US to enact a similar privacy law. Promising study results for digital behavioral therapies. Data from two clinical trials presented at the annual conference of the American College of Lifestyle Medicine give credence to digitally-delivered behavioral interventions developed by Better Therapeutics. The first observed an average A1c reduction of .8 percent among Type 2 diabetes patients receiving 12 weeks of the digital treatment. The other, conducted among hypertension patients, saw an average systolic blood pressure drop of 11.4 mmHg. Full write-ups of both studies will be published and made available later this year, according to the company. “Our clinical trials in obesity, diabetes and now hypertension have demonstrated the effectiveness of our digital therapeutic in treating and reversing diseases that are common, costly and caused by the same short list of behaviors,” Kevin Appelbaum, Better Therapeutics’ CEO and cofounder, said in a statement announcing the results. Temperature-targeted ads. Data collected through Kinsa’s connected thermometers this flu season will be sent to Clorox, which will use these insights to better target its disinfecting wipes and other similar products, the New York Times reports. Notably, the data will not be delivered at the personal level, and instead concern which zip codes or counties are being hit the hardest by common illnesses. Clorox and Kinsa already implemented a similar case study program for last year’s flu season, which Kinsa said increased consumer interactions with ads for Clorox’s disinfectants by 22 percent. Leaf spotlights more positive study data. A new study published in Geriatric Nursing suggests that implementing the Leaf Patient Monitoring Technology increased the average rate of patient repositioning conducted by hospital nurses. Leaf’s system, an adhesive patch that records and reports patient movements and positions, looks to reduce the development of pressure injuries among bed-bound patients.